i saw something that indicates that in october shambhala publications is selling the volume from the dam ngag dzod that contains the teaching of chod . i woyuld like to know if anyone has considered how one could get the transmission for all of the contents of the book. this is very important , as the dam ngagdzod will contain a complete set of teaching on how to practice chod. Oh, don't worry, I am sure someone will give all the wangs, lungs, and tri via the internet. On Facebook. 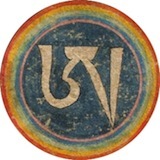 lama tsewang wrote: i saw something that indicates that in october shambhala publications is selling the volume from the dam ngag dzod that contains the teaching of chod . i woyuld like to know if anyone has considered how one could get the transmission for all of the contents of the book. this is very important , as the dam ngagdzod will contain a complete set of teaching on how to practice chod. Yeah, sounds great although a little unclear exactly what they are translating. Richard Barron also translated the catalogue, it's available on the site you linked for free. I believe they are translating everything into English--incl. sadhanas, tris, the whole bit. conebeckham wrote: I believe they are translating everything into English--incl. sadhanas, tris, the whole bit. Yes, it looks like. Looking forward to this. My off-the-cuff attempt at humor earlier in the thread aside, I too am looking forward to this. But I won't be practicing those methods for which I lack empowerment. Quite simply stated, that would be a waste of time. conebeckham wrote: My off-the-cuff attempt at humor earlier in the thread aside, I too am looking forward to this. But I won't be practicing those methods for which I lack empowerment. Quite simply stated, that would be a waste of time. Of course, but I got those empowerments (most of them). The volumes I'm interested in will be those I practice, or intend to practice, having previously had the empowerments and in most cases, the instructions, as well. I understand Lama Tsewang's concern, of course, and I'd bet some people will attempt to practice various things, based on the translations. Such people will need to understand their efforts are wasted. Wow , im not concerned at all, i just mentiomed that this book is being published and thaat this is important. Opening the Door to the Sky, yes? And....a Torma empowerment, if I recall? This text is really great, especially for the source texts and pith instructions of Machig Labdron.